Street style has become a thing thanks to the internet. Sometimes it's annoying and self serving but oh my god can I get those shoes in green? You can shop all the fashion you see blogged about with Fashion Kaleidoscope. 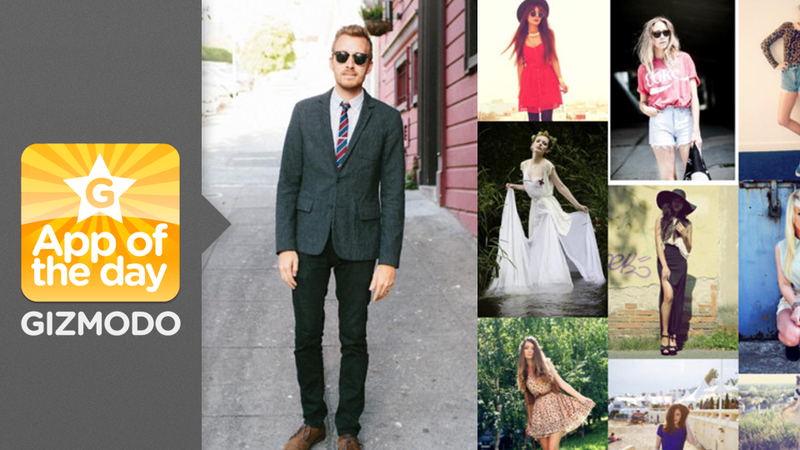 Shows you fashion you like from around the web and where you can buy it with just one click. Sometimes on sites like Stylecaster, you'll see an awesome outfit selection with no indication of where you can go to replicate it. You have to dig around different stores and sites searching for that random pair of leather shorts or an amazing but elusive necklace. This app makes it super easy for you by showing you where to buy these things, and often where to find them for the lowest price. Some of them are ugly!